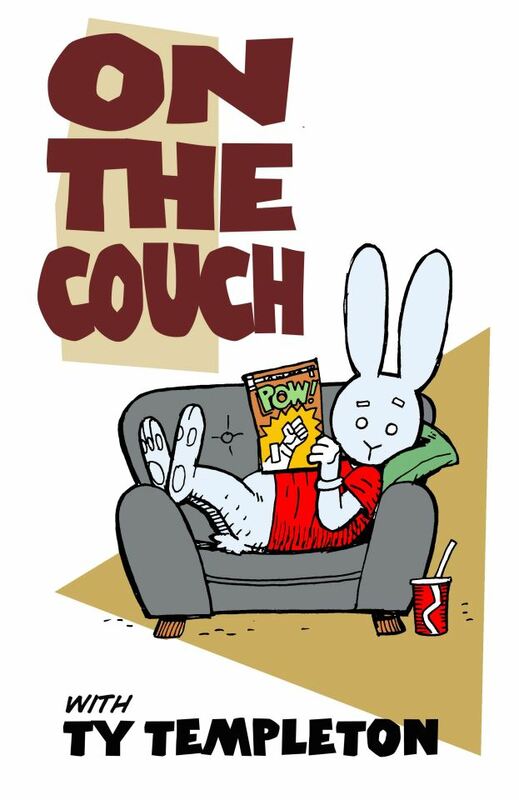 TCBL+G presents ON THE COUCH with TY TEMPLETON! Tomorrow Night! Ty will be joined by a panel of industry folk and these hosers will discuss things Canadian, eh? over a Labatt’s or three. Ty’s guests will be announced early next week (April 23-24). The show will be followed at 10pm by a preview announcement of the 2012 Joe Shuster Award nominees, and then we’ll be holding an Industry Night after party! After that it’s another Industry Night event in conjunction with our neighbours the Toronto Cartoonists Workshop and Guerilla Printing. Alcoholic and non-alcoholic beverages will be available for purchase at the event. ID will be required for alcohol purchases.